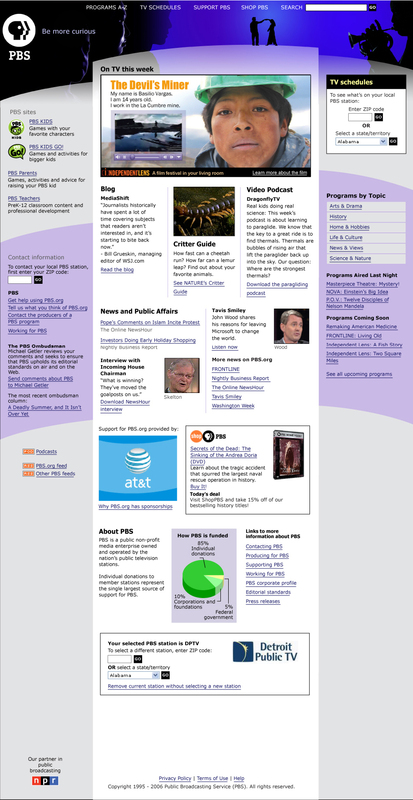 As it is in many organizations, the home page at PBS was a political hotcake. 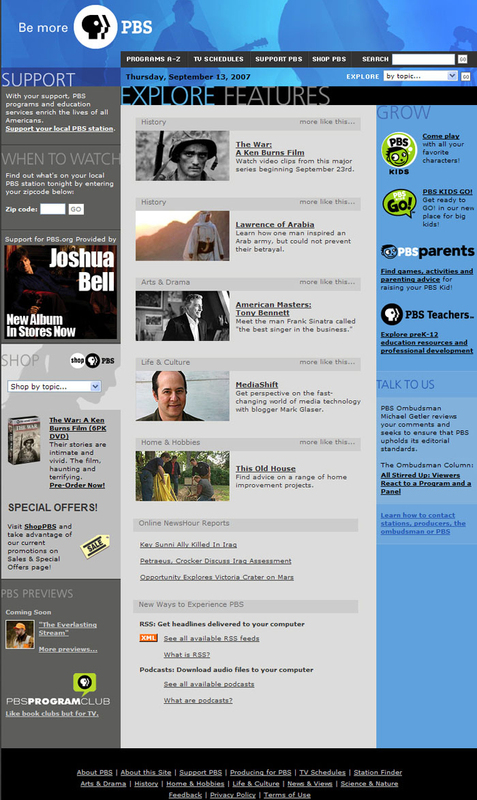 But in the peculiar public media environment of the United States, the greatest impediments to progress were cultural and the PBS.org Web site design remained unchanged for years as a result. Funding funneled through the local stations rather than corporate headquarters and so every station expected to be part of any significant discussion of digital strategy or tactics. The only thing the local stations could agree on, however, was their dissatisfaction with national headquarters. 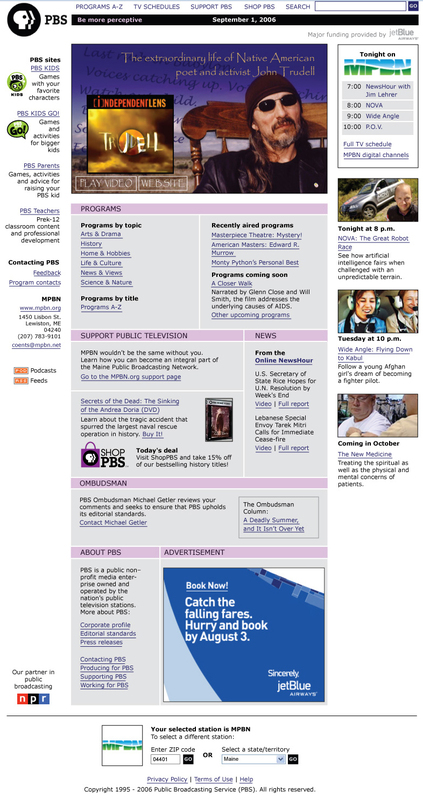 Culturally, PBS focused on what Web pages looked like much more than on what those pages needed to accomplish so, historically, redesign efforts devolved into endless arguments about color choices and imagery. In direct opposition to tradition, I promoted less content and did it with more space, forcing arguments about home page real estate rather than allowing compromise to dominate. I took these prototypes on the road visiting small, medium and large stations to gather reactions. I opened the design process up to dozens in the PBS community, but steered the conversations away from aesthetics and over to user goals and station business needs. Tap below to see larger versions.